When Greg Mortenson was a baby his parents moved from Minnesota to Africa, to the country of Tanganyika (Tanzania). His father started a school to train doctors and also a school to teach children. Greg learned the language and the customs of the country. When he was 11 years old he climbed Mount Kilimanjaro* which was Africa's highest mountain. He had three sisters. His youngest sister Christa was a sickly child. After the school was completed the family moved back to America. After he finished high school he joined the Army for two years where he served as a medic in Germany. Upon completion of his military service he attended college. He washed dishes and worked in a hospital to make money. He drove home every other weekend to visit his father who was dying of cancer. He graduated from the University of South Dakota with a degree in nursing and chemistry. He decided he wanted to be outdoors. He wanted to climb mountains. During one climb he fell 800 feet, but it only dislocated his shoulder and broke a bone in his arm. He later learned that at the very time of his accident his sister Christa had died of a seizure. His friend asked him to go to Pakistan with him to climb a large mountain called K2. During the climb Greg became lost. He finally found the porter* he had hired, but then he took a wrong turn and was lost again. He walked and walked. It was very cold. (These facts are disputed by CBS 60 Minutes. He came to the village of Korphe (kor-fay) The people treated him kindly and fed him. He was a half day's journey from his intended destination. He went to sleep and the next morning the chief's wife brought him food and sweet tea. The quilt with which he had been covered during the night was made of beautiful silk. His hosts had covered him with one of their most prized possessions. Late the next day his porter found him and they went to meet the other climbers, but Greg returned to Korphe to recover from his ordeal. The people were poor and the children were underfed, but they were willing to share with the man who had earlier come to them as a stranger. He wanted to do something to repay their kindness. He gave them his coats, his stove - everything he had. He used his medicine kit to treat the people of the village. He asked to see where the children learned, but there was no building. The 78 Muslim children just knelt down on the ground. The teacher only came three days a week because the villagers could not afford the dollar-a-day salary for more frequent lessons. Some of the children had slates and some just scratched their lessons in the dirt with sticks. Greg's heart was touched. He told chief Haji Ali, "I will build a school. I promise." Greg needed to raise money for the school he had promised. He slowly typed letters and sent them to celebrities. Finally a man showed him how to use a computer to send out many letters quickly. He sent 580 letters asking for money. He only got one response. Tom Brokaw, a TV newsman sent $100. His mother helped him enlist the aid of the students in her school and they started "Pennies for Peace". They collected 62,345 pennies. It was a start, but Greg needed $12,000 to build the school. To save money he gave up his apartment and slept in his car. A doctor at the hospital where he worked published his plea in a newsletter. He got one significant reply. Jean Hoerni, a brilliant scientist and a very rich man was interested. He asked Greg how much it would cost. When told the number, he said, "Is that all? ", and he gave him a check for the $12,000 to build the school. Greg then sold everything he owned to buy a plane ticket back to Pakistan. Under his clothing he wore a sack stuffed with $12,000 worth of hundred dollar bills. When he got to Pakistan he met again Abdul Shah, a watchman at the hotel. Abdul bargained with the local merchants over many cups of tea to get the best prices on lumber, cement, nails, hammers, saws, axes, shovels, and sheets of tin for the roof. They loaded everything on a truck and Greg sat atop the heap feeling very satisfied. The trip up the mountain was treacherous with deep drop-offs by the side of the narrow road. He got the supplies as far as Skardu where he stored them. To get to the village of Korphe he had to cross the Braldu River in a wooden box suspended on a cable hight above the water. Korphe was literally cut off from the rest of the world by the river. The villagers were happy to see him, but they had some bad news. First he would have to build a bridge to get the supplies for the school building to their village. He returned to San Francisco where he had previously worked, but learned he had lost his job. He felt hopeless. A friend urged him to call Jean Hoerni who had given him the money for the school. He would ask him for money to build the bridge. He visited Hoerni and told him the situation. He gave him an additional $10,000 to build the bridge. He had one request. He said, "Build the school quickly and bring me a photo." He bought supplies for the bridge in Skardu, but it began to rain. The jeep driver could not go on the muddy roads, so the men of Korphe carried the supplies by hand for 12 hours. The spools of cable weighed 800 pounds each and it took ten men to carry one of them. It took the people 10 weeks to finish the bridge. The people of Korphe proudly walked back and forth across their new bridge over the river. Now they were connected to the outside world. Greg returned to the United States. Back in San Francisco he called a friend, George McCown, who invited him to a dinner honoring Edmund Hillary, who with his guide Tenzing Norgay, was the first man to reach the top of Mount Everest. It was at this dinner Greg met a pretty woman, Tara Bishop. He fell in love with her immediately and six days later they were married. They spent three weeks together and then he returned to Pakistan to build the school. Back in Pakistan Greg returned to Skardu where he had stored the supplies for building the school. After a lot of hassle he recovered about two-thirds of the material. The rest had been confiscated. The men of the village laid the foundation to start the school. Then they carried large stones which had been chiseled into bricks. The walls were built with the stones and cement. When the walls were finished, he went back to Skardu and bought new beams for the roof. He started the return trip but the road was blocked by a mudslide. The men of Korphe walked all night, 18 miles, and carried the beams on their shoulders back to their village. Haji Mehdi, a chief from another village approached the building site. He said, "Allah forbids the education of girls. And I forbid the construction of this school." Haji Ali stood up to him, but the despot chief demanded a bribe of 12 rams which Haji Ali handed over to him. The villagers were sorrowful because the rams accounted for about half their wealth, but the school would be completed. The education of their children was worth more than many rams. Jean Hoerni endowed* a foundation, the Central Asia Institue to build more schools. He appointed Mortenson to be the director of the organization and in 1996 he began looking for other places to build schools. Jean Hoerni developed leukemia. * He was dying. As he had promised, Greg took him a picture of the completed school in Korphe and he became Hoerni's nurse for the last few weeks of his life. Before he died he gave the Institute $1,000,000. In addition to the school in Korphe they also started the Korphe Women's Vocational* Center where the women could meet and sew. They could earn a little money to help their families. He also started a school for porters in Balti and the organization provided sources of clean drinking water for the people. Greg was in Pakistan on September 11, 2001 when the terrorist attack occurred in New York. Fearing for his safety, the people protected him. He asked Americans back home to not assume that all Muslims were guilty of terrorism. Even though Americans were asked to leave Pakistan, he stayed another month traveling across the country checking on projects they had started. When he arrived back in America he began receiving hate mail. People were calling him a "traitor" because he was helping the Muslims in Pakistan by building schools. He had the opportunity to speak before Congressmen. He told them education was the answer to the terrorist problem. In March, 2006 an article about his work appeared in Parade magazine. He told people, "We need to understand that this is a war that will ultimately be won with books, not with bombs." After the article appeared, mail began pouring in. Nine sacks of mail arrived at the post office with only one negative response. The girls in the country of Afghanistan had nowhere to go to school, so Greg began building schools in that country as well as Pakistan. As of 2009 the Institute had established 130 schools in the two countries serving 51,000 students. They emphasize education for the girls. 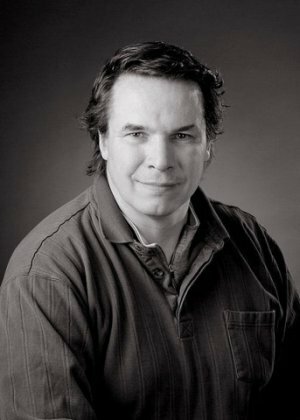 Greg Mortenson and his wife Tara have two children, a daughter Amira and a son Khyber. They are ambassadors for their father's work. "The first time you share tea with a Balti, you are a stranger. The second time you take tea, you are an honored guest. The third time you share a cup of tea, you become family." 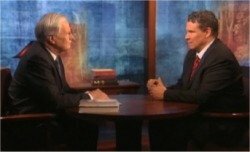 CBS 60 Minutes has questioned some of the facts in Greg Mortenson's book and the administration of his charity. I let a lot of people down. Press "Go" to search for books about Greg Mortenson. Jigsaw puzzle picture courtesy Creative Commons user Viriditas. This page displayed 29,424 times.